Our wonderful little man Jolly is off to his new home right here in Jackson. He has been adopted by very dear friends of ours that we have known since 1987! 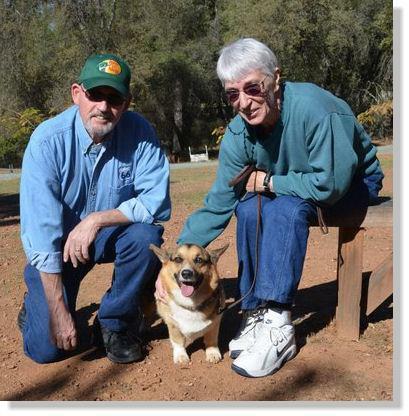 Jolly's new owners are both retired so he will never have to left home alone. He will be taking long walks every day and has a beautiful home and yard to call his own. 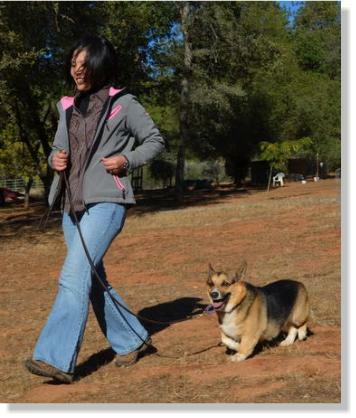 Good luck Jolly and be sure to stop by once in awhile to take a pack walk with all of your buddies here at the ranch. 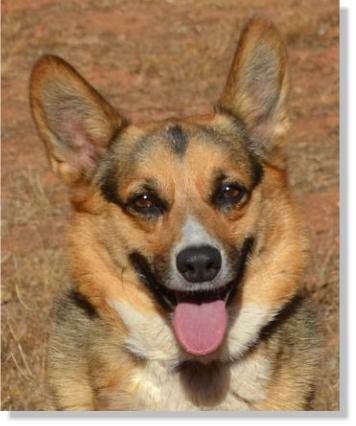 Jolly is an owner sponsored boy who is looking for his new forever home. 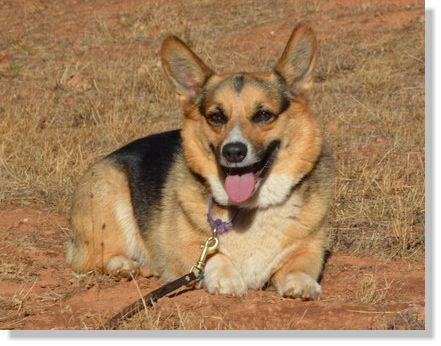 Jolly is AKC registered and is a 5 year old Pembroke Welsh Corgi. His owners can no longer keep him and they want to find him the perfect home. Jolly is house broken, loves all people and is good with cats. Jolly is a little unsure when he is around other dogs and his owners think he would do best in a home without other dogs. 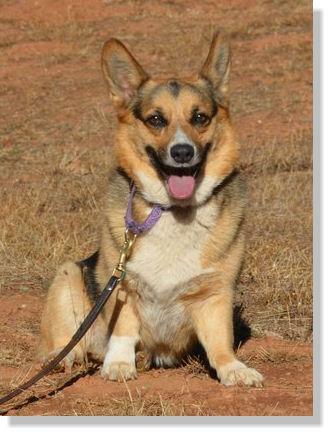 Since Jolly has been at the ranch he has done quite well with other dogs and has even had two dogs as roommates. him and getting in his face! 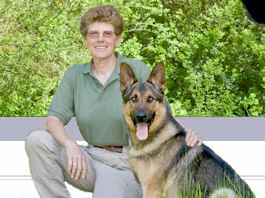 Jolly has had all of his obedience training and is a real pleasure to be with. He is a quiet boy that is happy to be inside as well as outside. We have seen no destructive behavior from Jolly and he is just about one of the easiest dogs we have had come through our program. Jolly loves to go for rides in the car and to go on long walks. He is also quite content to hang out with you and watch a good ball game or movie. If Jolly sounds like the boy for you, please give us a call to set up an appointment to come out and meet this very cute little man!